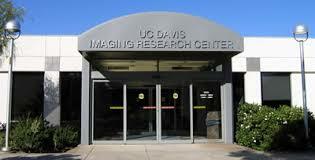 The UC Davis Imaging Center supports human imaging science research and promotes the use of modern imaging methods in basic science and clinical investigations of the brain and body. Located at the UCD Medical Center campus in Sacramento, the IRC houses two research-dedicated whole-body MRI scanners, a 1.5T GE Signa MRI System and the new 3T Siemens Trio MRI System. A satellite facility, the MRI Facility for Integrative Neurosciences, is located in Davis and houses a Siemens 64-channel 3-Tesla "Skyra" MRI System.